Big day for Ben's Friends. 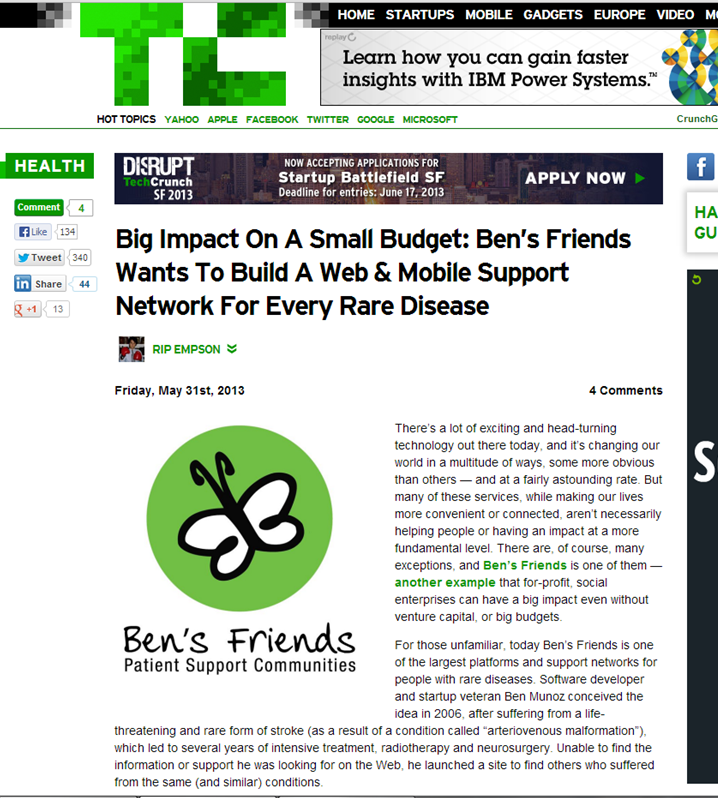 We had a feature article in TechCrunch on Ben's Friends. 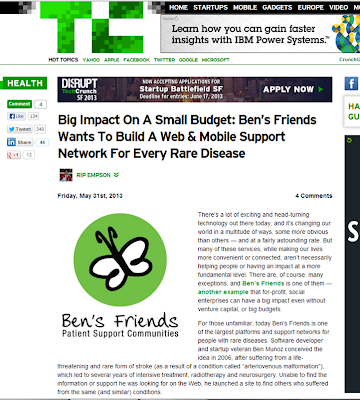 TechCrunch is the largest tech blog in the world so it's great exposure for us. Kudos to our wonderful Tech PR Firm, KnockTwice. Mike Barash donates all of his time and made this all possible for us. Thanks!